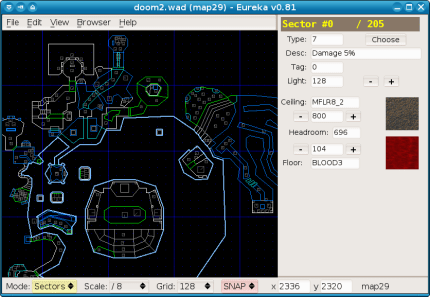 Eureka is a map editor for the classic DOOM games. 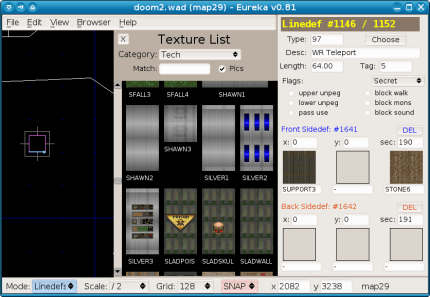 Eureka is a map editor for the classic DOOM games, and a few related games such as Heretic and Hexen. The supported operating systems are: Linux (and other Unices), Windows and OS X.
Eureka is free software under the GNU General Public License (GPL). Please note that it comes with absolutely NO WARRANTY of any kind.